Happy Saturday from my hotel room!! We are officially moved out. We left Arizona with half our stuff (the military moved the other half) Tuesday morning, well we meant to leave out tuesday morning but we had some set backs and ended up leaving Tuesday late afternoon. So what else is new. Now we have the half the military moved in the house mostly set up and the half we moved stuffed into our garage. We had to get our truck back so that was the quickest and easiest thing to do. Hence why I'm in a hotel room. It's the quietest moment I've had in weeks!!!!! I'm so sorry about last Saturday's challenge. I thought I had everything prepared well in advance, even all my challenge examples pictured, but alas I had issues with my main computer and didn't plan for my laptop to be used for watching netflix (pretty much my kids only entertainment) for a couple of days. I'm still planning on posting last week's challenge with even an additional giveaway! Soooo, if you've been following the design team and have done the challenge you will still get a chance to enter it into the monthly giveaway plus the special giveaway as well! The challenge this week, the 5th week of the month, is Freestyle: ANYTHING Goes! You have until Friday, July 6th to link up your creation to get entered into the monthly drawing this week. When uploading to online galleries please use code HIMCR52. Hiding in My Craft Room, well really Hotel Room! Time for another challenge! This week has been so crazy it's nice to take a little break and do a little crafting. VERY LITTLE! Not too much longer until we will be moving. I can't believe how fast the time has flown by! 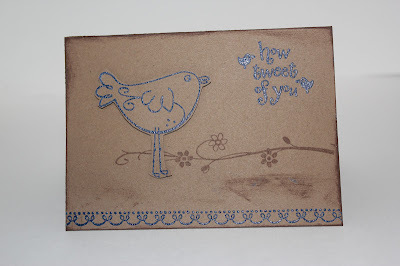 It's that time of month again to get out those scraps and create something to get entered into the challenge! I always look forward to Super Scraps Saturday! You have until Friday, June 15th to link up your creation to get entered into the monthly drawing this week. When uploading to online galleries please use code HIMCR49. All cut outs but the butterfly were in my scraps bin! And the butterfly was cut from scraps from the Art Philosphy cartridge at 2". 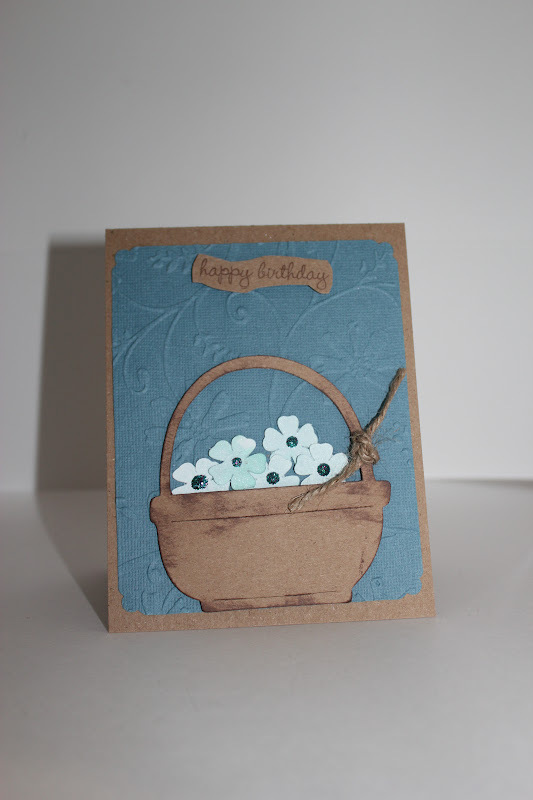 Card front: Paper Studio 'Oops A Daisy' pack 4" X 5 1/4"
Saturday already!! It's a new month!! The challenge this week is a Color Challenge. The colors are Red, Kraft (I used Stampin' Up Crumb Cake), and White. Happy creating! I can't wait to see what you come up with. You have until Friday, June 8th to link up your creation to get entered into the monthly drawing this week. When uploading to online galleries please use code HIMCR48. 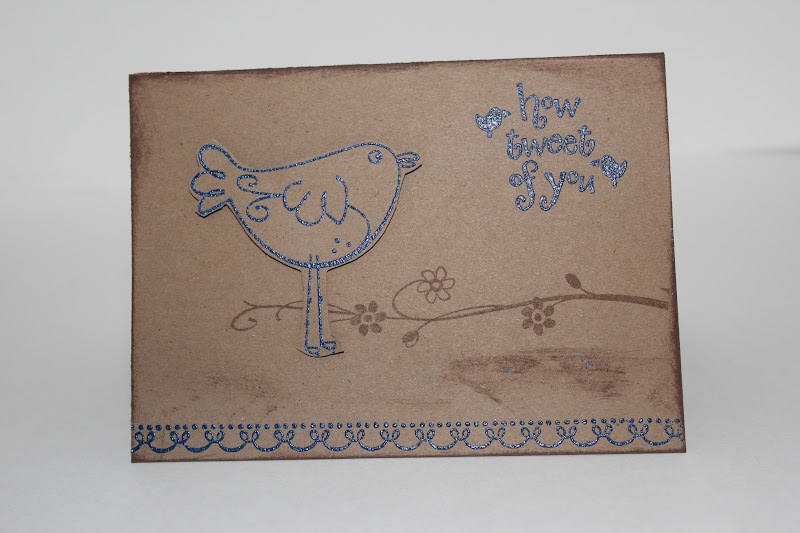 Card front: Red 4 1/8" X 5 3/8", SU Crumb Cake 4" X 5 1/4"